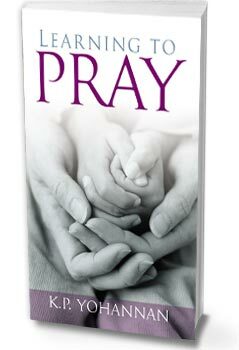 Download your free PDF of Learning to Pray. Whether you realize it or not, your prayers change things. Be hindered no longer as K.P. Yohannan shares how you can grow in your daily prayer life. See for yourself how God still does the impossible through prayer. "Dear friend, as I share with you these guidelines on prayer, I know that they will do nothing for you or the kingdom of God unless you start to enter warfare and begin praying. You will see victories won that you never even dreamed were possible. May the Lord bring you to a place in your life where your prayers will help change the course of a lost world."